If you wear makeup on a daily basis like I do, but live in a country where the climate is hot and humid pretty much all year round, then needing to retouch your makeup at some point during the day becomes inevitable. Now we all know heat leads to one thing: sweating. You don’t need me to tell you that sweat, next to oil, is one of makeup’s worst enemies. Not only does it make your foundation or powder start to look gross and cakey, but eventually all the sweat means your makeup just ends up disappearing altogether. How frustrating is that? 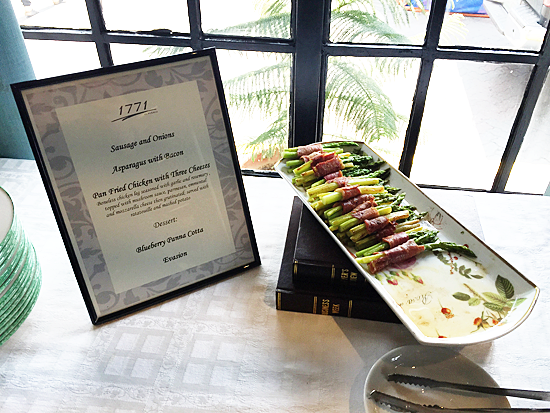 The event was held last Thursday at Chateau 1771 in Ortigas. Thankfully I was familiar with the place since it’s near my old college so I used to pass by it a lot. This exciting sign greeted us at the entrance! 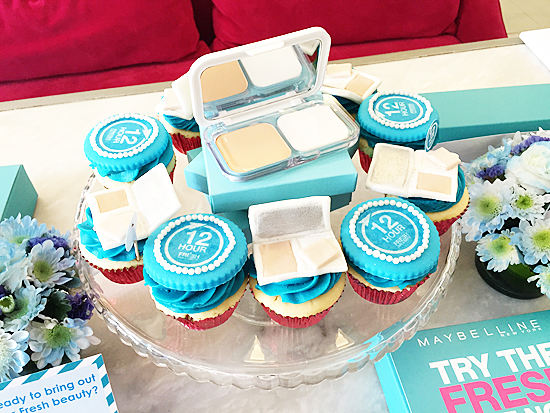 This is actually my first Maybelline event, and my high expectations were already met as soon as I walked through the door because almost the whole restaurant was decked out in lovely turquoise and each table was meticulously arranged with both flowers and some of the cutest cupcakes I’ve ever seen, with the new Maybelline White Super Fresh as the focus of the centerpiece! I’m sure by now you’ve already concluded that White Super Fresh is a powder. A foundation powder, as I quickly came to learn. But we’ll get into the powder itself in a bit! After all, when I arrived the actual program didn’t start yet and I decided to check out the rest of the venue. There was a lot to see and do! If you know me at all, then you know I love to eat. My figure should already be an obvious indicator, haha. As I was famished when I got to the resto, I decided to have a quick meal. I really loved their Pan Fried Chicken with Three Cheeses and the mashed potatoes. I even went back for seconds! 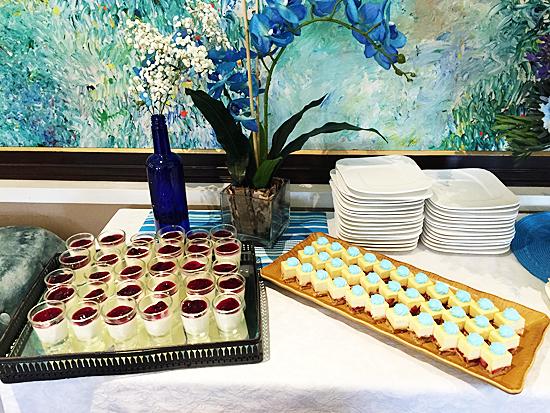 For dessert I had both the Blueberry Panna Cotta and the tiny cakes that were just listed as “Evasion” on the ‘menu’. Wasn’t such a big fan of the latter, but the Panna Cotta was delicious and had just the right amount of sweetness to it. 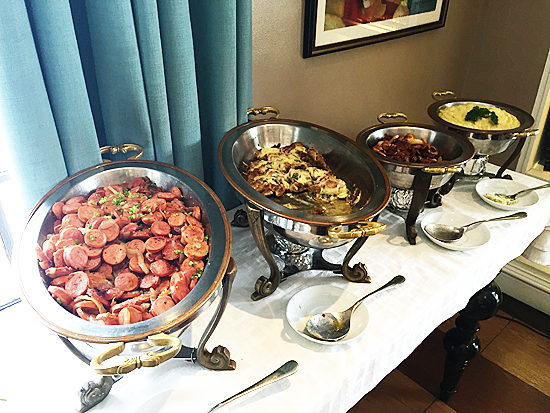 After eating, I finally went around to check out the different activities. There was actually an Instagram contest for us media guests. 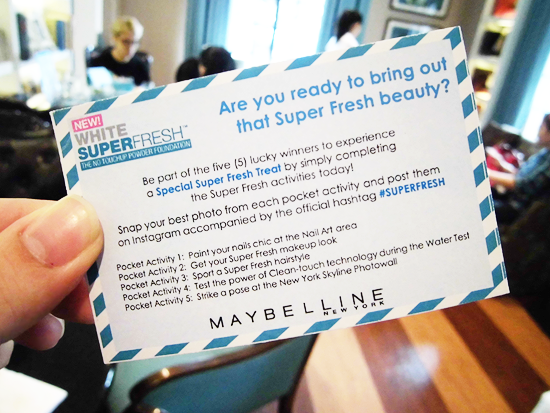 If you took a picture during or after doing each activity and made sure to use the tag #SuperFresh when posting, you could win an awesome Maybelline prize. I was too busy taking pictures of the venue to participate though. Here’s the nail art area where you could get cute, super fresh designs of your choice along with your manicure using the Maybelline Colorshow polishes! Look who I spotted getting their nails done! It’s Celline from Product Arena and Kim from Kimpossibly Gorgeous. Kim and I hadn’t officially met before this, but we’ve read and commented on each other’s blogs, so it was nice to finally meet her for real! 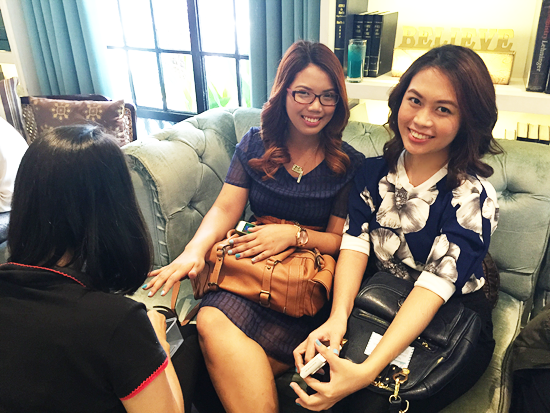 I also saw mom-to-be Sabs from The Makeup Maven and Shari from The Misty Mom. Always love meeting up with these girls at events! The make-up and hair area is where you could get a super fresh looking hairdo and makeover. Of course they used Maybelline’s White Super Fresh on everyone who got their make-up done, including me! The stylist, Justine, and I were chatting away about beauty and whatnot while he was retouching my face with the powder since I already had make-up on. I love how light it feels and my skin instantly looked fresher afterwards! Here’s where I also spotted my good blogger friend Shen from Shen’s Addiction getting her own hair done by Chuchie Ledesma. 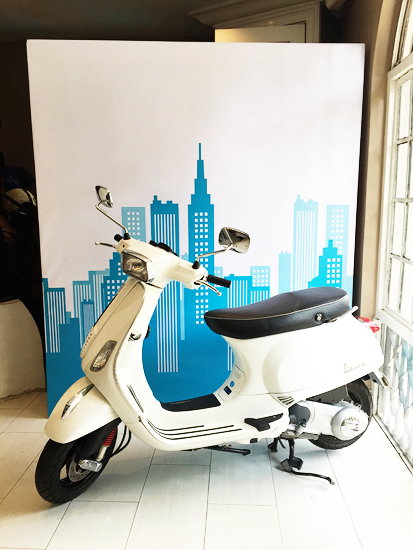 The New York Skyline photo wall where you could strike a pose on this cute vespa. I wish I could have ridden it back home that day! 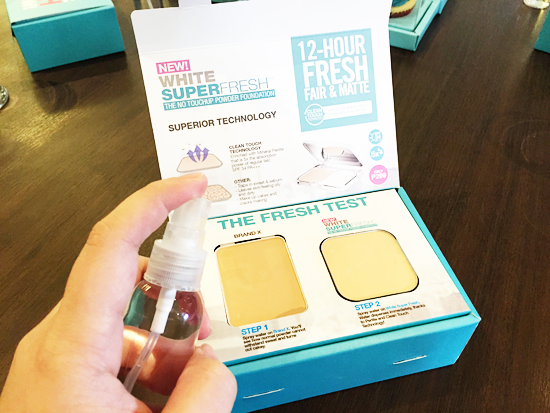 Afterwards, we were all invited to try the Fresh Test where we’d compare how the new White Super Fresh powder performs against a Brand X powder when faced with one of make-up’s worst enemies: sweat. Don’t worry, we weren’t asked to sweat onto the powders. They gave us bottles of water to spritz onto them that would simulate sweat! Here’s me generously spritzing both powders with water. I easily sweat, and sweat a lot, so I gave at least three, full spritzes each. Ta-dah! 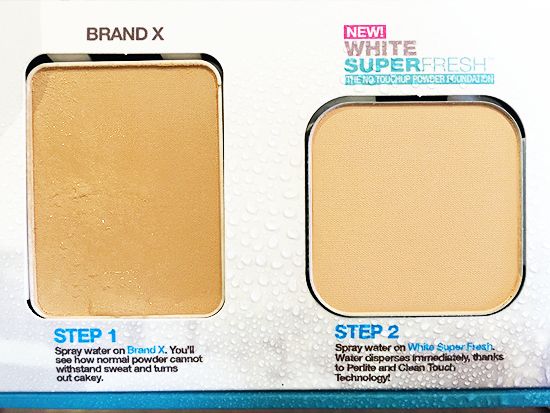 Look at how the water just sits on top of Brand X’s surface, whereas the White Super Fresh absorbed the water immediately upon contact. You can be assured the moment you start sweating, the powder also starts working. A close-up view of both powders. Brand X, after only a few minutes, is already starting to look icky and cakey. 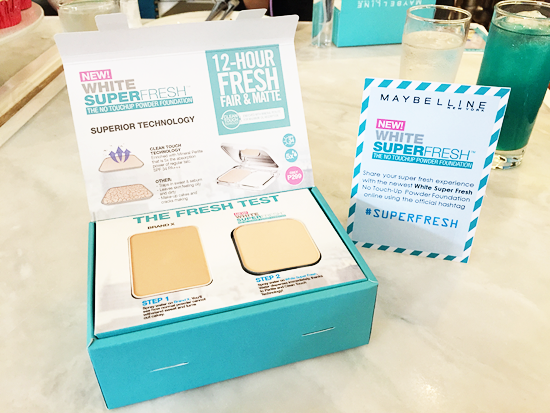 But Maybelline’s White Super Fresh doesn’t only look dry, it’s dry to the touch too! You can see just how much water I sprayed from the droplets all around it and by looking at Brand X. The secret is Maybelline’s Clean Touch Technology. The powder is enriched with Mineral Perlite that has 5x more absorbing power compared to regular talc. 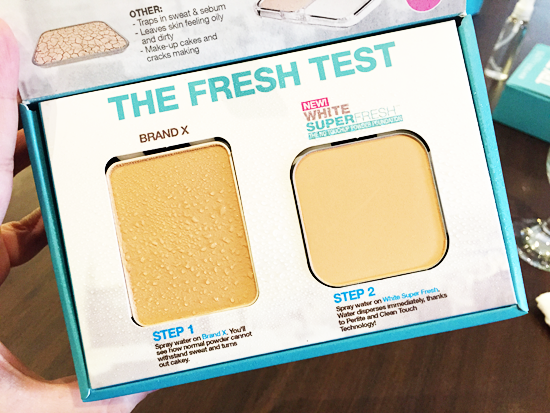 Unlike other powders out there, the White Super Fresh doesn’t trap in sweat and sebum, so as Maybelline promises, your face will be kept matte and fresh for up to 12 hours! What can I say? I’m impressed! 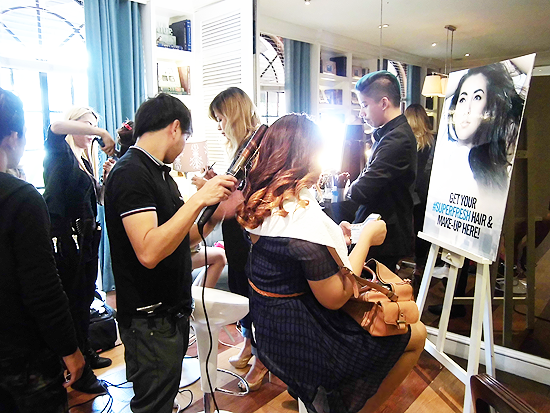 Got my hair done and makeup retouched at yesterday's Maybelline White #SuperFresh launch. 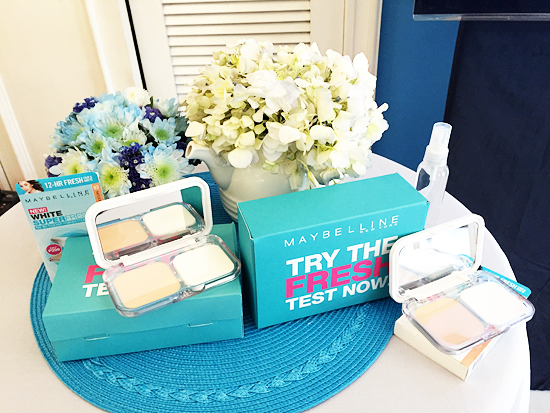 Thanks @maybellineph! The new powder is so light on the face, I love it! Of course I couldn’t waste the opportunity to take selfies while I was there since I had my hair done and all. 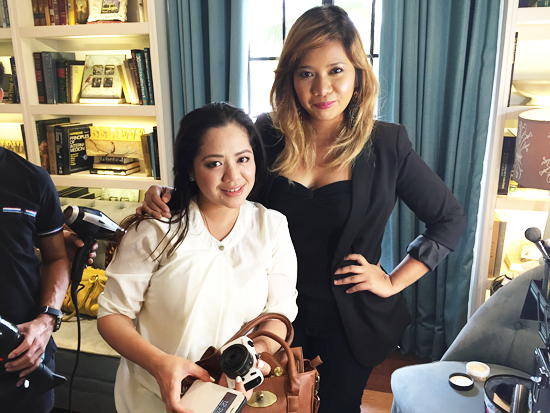 My skin was looking extra fresh thanks to Justine retouching my make-up with the White Super Fresh powder! I also (finally) got a selfie with the super cute Tellie from Beauty By Tellie too. We’ve hung out at a lot of events, but it’s our first picture together. Yay! Maybelline’s White Super Fresh powder comes in a total of 4 shades. It will be available in the Philippines starting Feb. 28 and it’s priced at just PHP299! Since the powder is specially formulated for Asian skin, it’s only available in Asia too, so unfortunately those of you not in Asia might have to try looking for this powder online from an Asia-based seller or store. 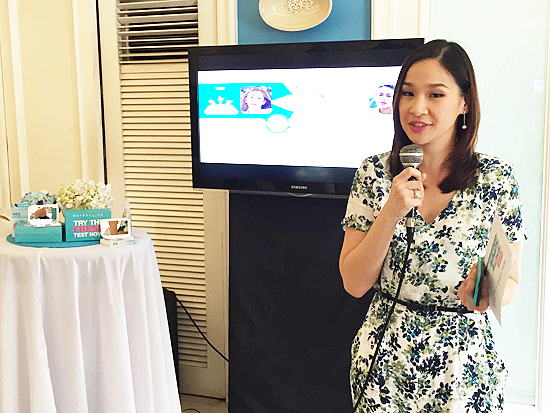 A big thank you to Maybelline Philippines for inviting me to the launch! I can’t wait to try the powder out myself and give a full review on it soon.